Adventure is out there! Luckily, you don’t need to travel too far for the Funko Pop Up Movie series. 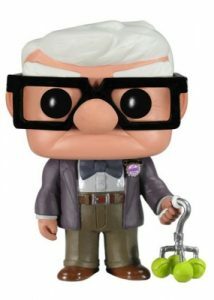 The heartwarming 2009 film features Ed Asner as Carl Fredricksen, a cantankerous old man, and Russell, a Wilderness Explorer who tries to earn a merit badge by helping an elderly person. Although the set is on the smaller side, Funko Pop Up flawlessly depicts both main characters. A white-haired Carl dons his Sunday’s best, including the "Grape Soda" bottle cap pin given by his wife, Ellie. 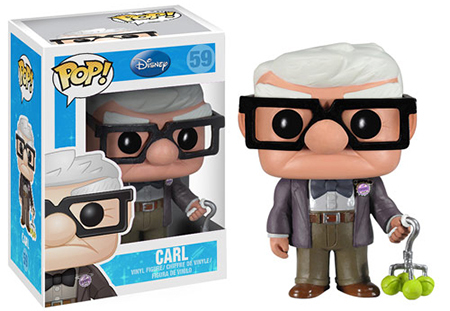 Furthermore, Carl’s face is framed by the large, square-framed glasses, and he stands with the help of a cane braced by tennis balls. 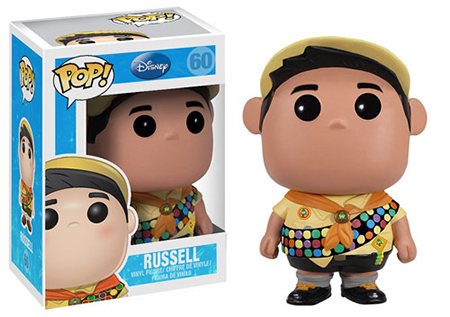 Forever unwilling to sit still, Russel proudly wears the Wilderness Explorer uniform. His ensemble includes an orange neckerchief with a slider and a sash full of merit badges. Shop for Funko Up Movie Figures on Amazon. 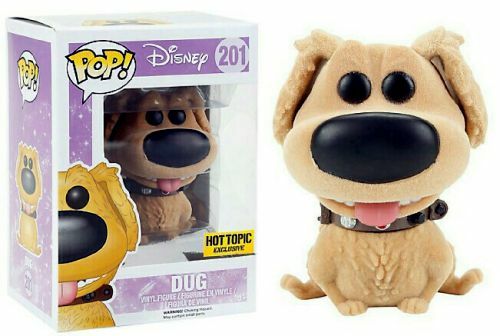 Last, but definitely not least, Funko Pop Up Movie includes the talkative Golden Retriever, Dug. 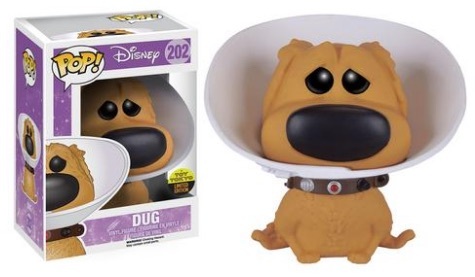 Aside from the main figure, the flocked Dug version is issued through Hot Topic, while the 2016 San Diego Comic-Con Toy Tokyo exclusive features Dug wearing the infamous "Cone of Shame." 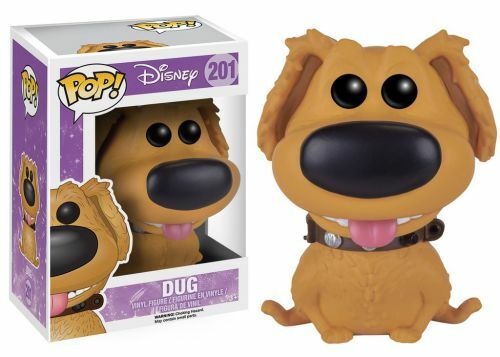 Each Funko Pop Up Movie vinyl figure stands approximately 3 3/4” tall and is numbered as part of the main Pop! Disney line. 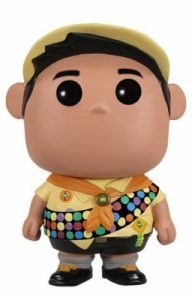 Although limited to just 200 total boxes, fans and collectors can also find an Up figure in the Disney / Pixar Collection 4-pack featuring smaller Pop! 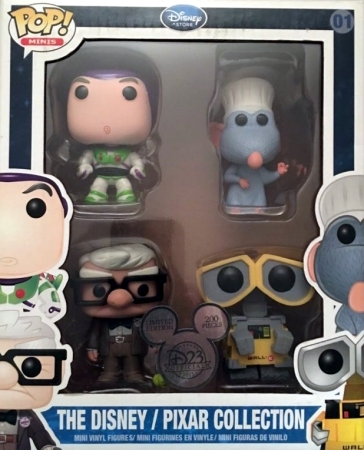 Minis for Carl along with Buzz Lightyear, Remy and Wall-E.